It’s been a momentous week, that’s left me feeling the need for familiar, cozy things. So I’m leaving my more demanding design work aside this afternoon and settling down to some simple crochet. 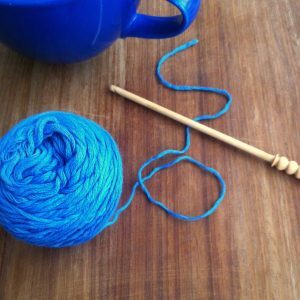 Matching your coffee cup to your crochet helps of course! 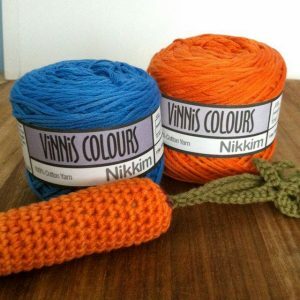 I have a new batch of my lovely Vinni’s Colours Nikkim yarn. 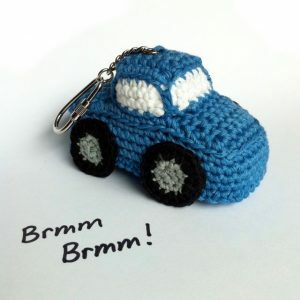 So I’m going to make a few little blue motors – they are back in stock now on Etsy if you’ve been waiting for this colour. 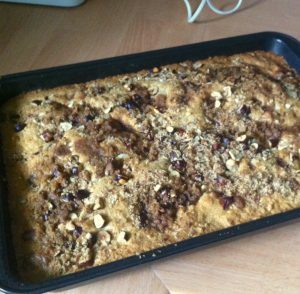 I’ve also been doing a bit of comfort baking, so there’s Streusel Cake for everyone if you’d like a piece! Don’t forget there’s 25% off my new Duckling Crochet Pattern until tomorrow!